Want to explore the Alps outside of a trail centre set up? Want to ride natural trails into different countries? Well then the ‘Free to Roam MTB Trip’ could be your next MTB adventure. This breath-taking self-guided trip, provides you with maps, luggage transport between locations and hotels along with way, letting you take in Switzerland, Austria and Italy under your own steam. Just add flights to Milan or Zurich via many low cost airlines. Our self-guided option allows you to ride, using provided GPS and maps, through Austria, Switzerland and Italy, via the Alps, over three days, off-road on natural trails. We will transport your luggage between your hotels so you get maximum riding without any of the fuss. 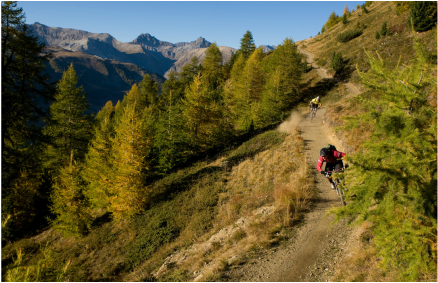 You can start and end your trip in Livigno where you can take in the hundreds of well marked flow country trails and bike park. We offer this trip as either a 5 day or 7 day option. In the 7 day option you get a couple of days to ride in Livigno on top of the 3 days riding across the alps, country to country. Route A: suitable for very strong riders, with a good off road biking technique - it's tough! Route B: a more gentle route - suitable for riders that regularly ride but don't feel confident with large drop offs and jumps. The four stages of this trip promise high-altitude trails, interesting pass crossings with breathtaking views, great slopes and lovely river paths. 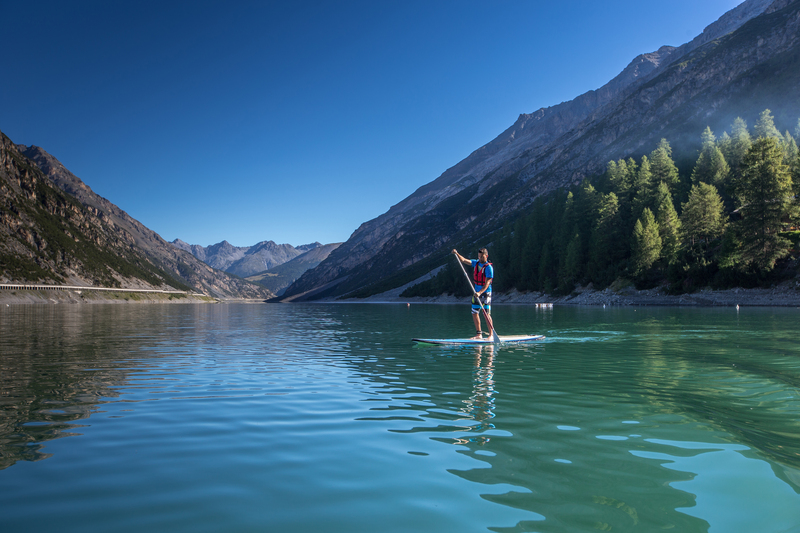 We also offer bespoke activities such as hiking, wine tasting and lake activities as part of the Livigno part of your stay. Just ask us for more details! You can choose between two different routes depending on your level and what you want to get out of this trip. Route A with 7,300m in altitude and 230km of riding is ideal for very strong riders who are in good to excellent physical condition and above all have good off road skills and like the thrill of pure back country riding. Route B is a less intense option but still fun and challenging. With slightly less altitude of 5,000m to climb and 175km of riding it is suitable for those who regularly ride and are physically fit. We will transport you to your first hotel from the airport and then move you luggage each day while you're out riding. Route A is the toughest, it is recommended for riders in good shape (although you not do have to be a Superman or a Supergirl!) but the elevation and length of riding is 6743 meters elevation and 198 km over 4 days. Of course you have the choice each day as to which route you want to take so you have choose the easier option on some days if you wish, as the start and arrival points are the same. Route B is the easier version of the Free to Roam Tour. This option is still not easy and not for unfit to riders with no off road experience. You have to ride 168 km and climb 5250 meters over 4 days but this route is more accessible than Route B. Weather conditions are also important, if you ride your Free to Roam Tour on sunny days it will be very different then riding a stage with rain or cold wind. 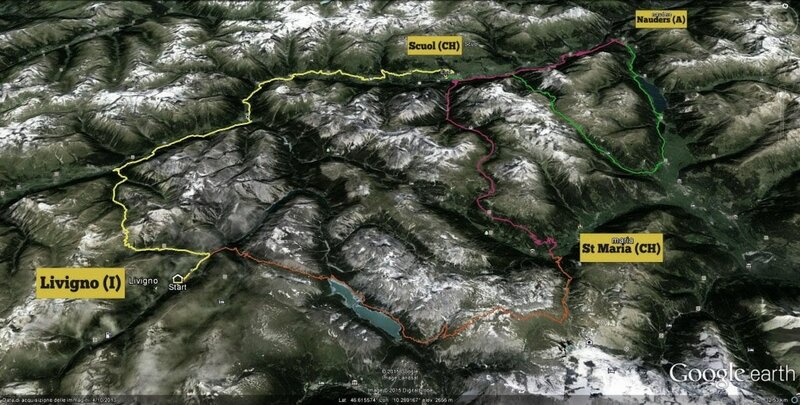 Same route for Route A and B: Livigno – Chaschauna – Zernez – Susch – Lavin – Guarda – Ardez – F’tan – Scuol. Route A: Scuol – Sur En – Galleria Val d’Uina – Sesvenna – Schlinig – Burgeis – Reschensee – Nauders. Route B: Scuol – Sur En – Sclamischot – Nauders. 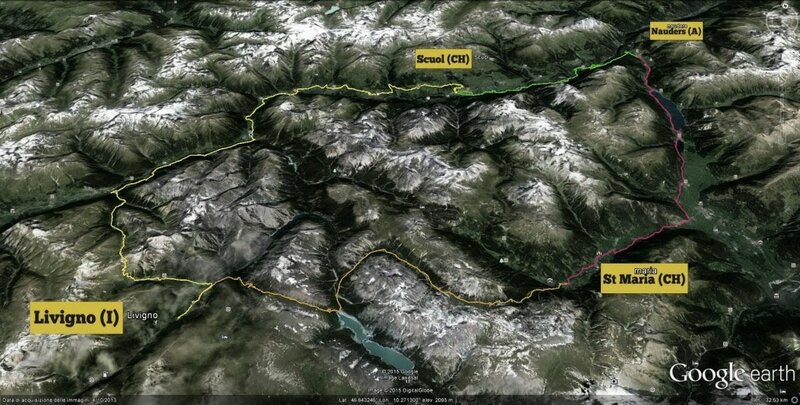 Route A: Nauders – Sclamischot – Scuol – Pass da Costainas – Sta. Maria. You are welcome to arrive any time from June to October as part of this trip.We can also tailor make the length of this trip so whilst we've provided you with costs for 7 and 5 nights, we can accommodate any duration from 5+ days. As you ride through the 3 countries you will be staying in quality 3 & 4 star hotels along the route. For your three nights in Livigno you have a choice of hotels with differing price levels. ​Happy to make your own way to the Alps? If so you can save €200 per person, for a trip with no airport transfer. To book we ask for a 30% deposit paid via card with the rest due 7 days before travel. We offer a 100% refund on cancellations made 30 days before travel. We can offer an range of other actives to complement your trip. 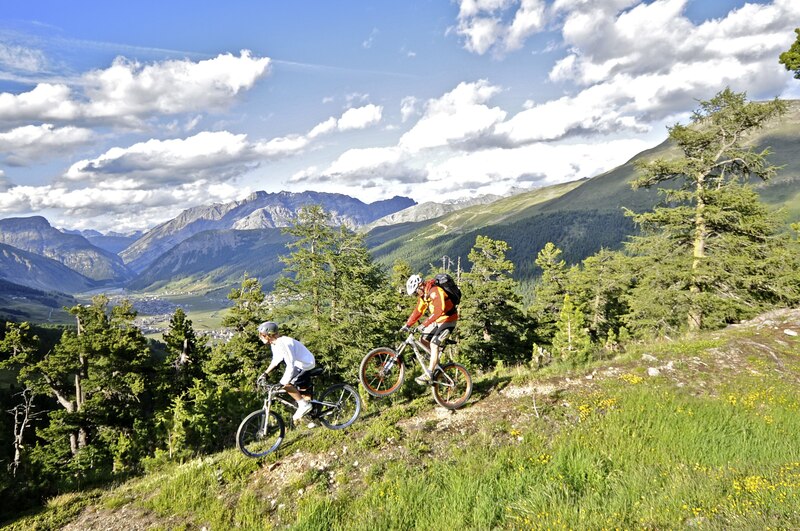 From wine tasting to golf to hiking and lake actives, you can be sure you experience the alps on and off your bike!